Mid-Autumn festival is a Traditional Chinese Season which usually celebrates with Mooncakes, Chinese Tea, Candle Lantern, Fruits and other Snacks while enjoying the view of the full moon. As being said, mooncake plays an important role in this festive season whether to eat or serve as a gift to friend and family. Below is the top few selection of creativity mooncake 2017. From 27 July until 4 October 2017. Shangri-La Hotel, Kuala Lumpur’s exquisite selection of mooncakes, in elegantly-designed boxes, make perfect gifts for family and friends this Mid-Autumn Festival. Choose from a variety of classic and snow skin flavors, including this year’s special limited edition of Musang King Durian mooncakes. From 13th August to 4th October 2017, relish in a kaleidoscope of mooncakes exquisitely handcrafted by Dorsett Grand Subang as you celebrate Mid-Autumn Festival with family and friends. Enjoy 20% off all mooncakes from 13th August to 9th September 2017. Enjoy 30% off all mooncakes when you purchase 30 boxes* and above. *1 box of mooncake is equivalent to 4 pieces of mooncakes. 25% off all mooncakes when you pay with your CIMB Bank credit, debit and Kwik cards. 15% off all mooncakes for HSBC Credit card or HSBC Debit Card members. * Not applicable in conjunction with other promotions, discounts, coupons/ vouchers or special offers. Dorsett Choice and Prestige Club Members are entitled to a 20% discount. This Mid-Autumn season, share the merriment of tradition with Hilton Kuala Lumpur’s collection of halal mooncakes, meticulously crafted from the finest & freshest ingredients, in baked and snow skin varieties. Hilton Premium Club & Credit Card discounts are only applicable for Crimson Red Box. This Mid-Autumn Festival, Grand Millennium Kuala Lumpur unveils a collection of rich tradition and fresh modernity, featuring a delightful range of traditional baked mooncakes made from the finest ingredients. For a truly decadent indulgence, the all-new Ferrero Rocher mooncake makes its debut this year, and is a true testament of taste and pleasure. Each filled with exquisite surprises of delicious hazelnut and chocolaty cream, the mooncakes are sprinkled with edible gold dust for an extra treat. Those who enjoy a variety of classic flavours can opt for the Single Yolk White Lotus Paste, Pure White Lotus Paste or Red Bean Paste that are best complemented with Chinese tea. Other perennial favourites include Green Tea and Assorted Fruits & Nuts. Presented in a stylish dual-coloured gift box with intricate oriental motifs, the mooncakes boast a wholesome combination of texture, luscious flavours and alluring aromas, making them the perfect gift for loved ones, business associates, or simply for personal indulgence. Available from 1st August 2017 to 4th October 2017, these Mid-Autumn treasures by Grand Millennium Kuala Lumpur are priced between RM 38.00 nett and RM 34.00 nett per piece. To purchase, guests may visit the hotel at 160 Jalan Bukit Bintang, 55100 Kuala Lumpur. Alternatively, orders can also be placed via telephone (+60 3 2117 4888) and email (enquiry.gmkl@millenniumhotels.com). Dynasty Restaurant at Renaissance Hotel Kuala Lumpur showcases 12 types of baked and snow skin mooncakes this year and the classics include Pandan Lotus Paste with Single Yolk, Low Sugar White Lotus Paste and Bamboo Charcoal Green Tea Black Sesame – available on the menu annually. The snow skin options include Red Pitaya Lotus Paste with Mango, Honey Lotus Paste with Chocolate, Yam Paste with Single Yolk, Alisan Tea Paste with Green Tea and Chinese Chestnut Paste with Yolk. All mooncakes are packed in signature boxes with any choice of 4 pieces of traditional mooncake, 6 pieces of baked mini mooncake or 6 pieces of mini show skin. Celestial Court has prepared to launch 8 different home-made mooncakes to mark the festival. The mooncakes, presented in authentic boxes make perfect gifts for family, friends and esteemed associates. Price: Starts from MYR 20nett each. A great time for reunions, warm your hearts with delicious baked and snow skin mooncakes infused with tea. Savour exquisite flavours such as Osmanthus Flower infused Lotus Paste, Ginger Tea with Longan Lotus Paste, Crystal Durian Paste and much more. Beautifully presented in a sophisticated gift box, these delicacies make such elegant gifts for family, friends and business associates. For orders, call 03-7628 7338 or Whatsapp 012-251 0296. Celebrate the blooming beauty of Mid-Autumn Festival at Tao Chinese Cuisine, with six eclectic selections of baked skin mooncakes and four delectable snow skin offerings handmade individually by master dim sum chef Lo Tian Sion. Be sure not to miss out on the occasion’s recommended flavours of Scarlet baked snow skin with pandan and salted egg bean paste, Bamboo charcoal with assorted nut paste, and Snow skin with pure durian and salted caramel chocolate. Baked fresh daily, the season’s selections are exquisitely packed in a choice of the luminous gold box or the pulsating charcoal grey. From RM 26 onward per piece. Sign up as a Gourmet Collection member here. Credit card discounts apply for selected bank card holders. Delight in handmade mooncakes by Mandarin Oriental as you celebrate the Mid-Autumn Festival with family and friends. These dainty delicacies are presented in exclusive gift boxes and they make perfect gifts for the season to express your heartfelt wishes. Classic all-time favourites, new snow skin flavours and sinful chocolate mooncakes are available to please even the most discerning palate. mooncakes from now until 14 July 2017. Enjoy the following savings when you purchase our mooncakes in a single receipt. Elite Club members enjoy a discount of 12% throughout the promotion. to areas within Kuala Lumpur City Centre for orders above 10 boxes. of 50 boxes and above in a single receipt. mokul-lpoheen@mohg.com or fax to +60(3) 2179 8757. Celebrate the Mid-Autumn Festival observed in the 8th month of the year in the lunar calendar with our classic white lotus seed paste mooncake and our big 6.5 inch Super Mooncake with 8 yolks, made only with the finest ingredients. Encased in this elegantly designed purple faux-leather trunk, our signature mooncakes make the perfect gift for this celestial tradition. Two mooncake types are available from August 2017 onwards – The Classic Mooncake in a box of four is priced at MYR148.40 nett per box whereas the 6.5 inch Super Mooncake with eight yolks is priced at MYR212.00 nett per box. For more information or to place an order, contact +603 2727 6699 or email dining.kualalumpur@stregis.com. Westin Mooncakes are available for order from 01 August till 04 October 2017. YUÈ refers to the phonetic symbols for delight, music and moon, this multi-functional gift box works as Bluetooth speaker, where you may play your favourite tracks while tasting the exquisite Westin mooncakes. The YUÈ Mooncake gift boxes are offered at very attractive prices, starting from as low as RM168.00 nett per set. Select any 4 out of our 7 flavours. Starwood Preferred Guests (SPG) and Beyond Dining members receive 10% discount for YUÈ Mooncake gift box during the promotional period. Bulk purchases are welcome as well. *Prices are inclusive of 6% GST and discounts are not accumulative, a higher value of discount will be accorded if two or more discounts are applicable. Kindly drop me a message if you have any inquiry or ideas to share. 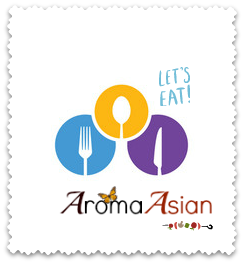 Aroma Asian is at Cheezbox Cafe & Restaurant.